The Xunta will address adaptation work in, at least, four areas of entry of the Caminos de Santiago into the city, where the Town Hall will place the terrain at its disposal and replace the services affected. 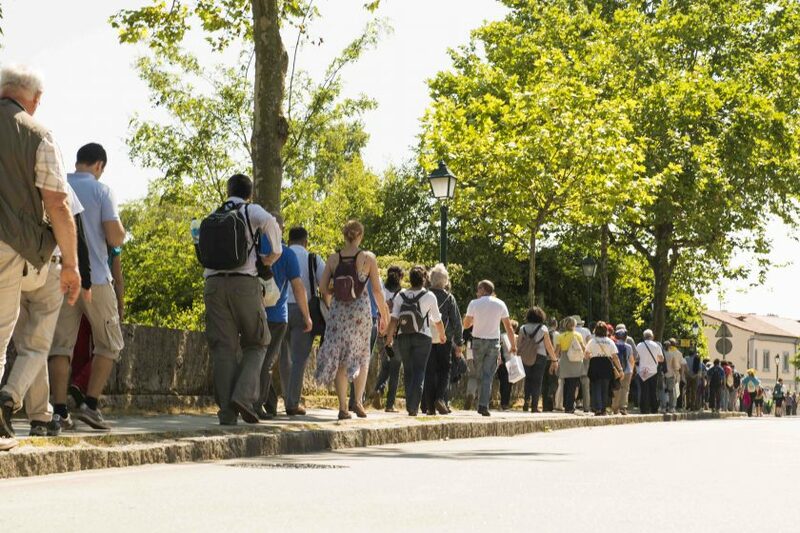 The Xunta informed of the contracting of the projects in order to improve the integration of the landscape of the Caminos de Santiago on entry to the city of Compostela, with a planned investment of 4.2 million euros. The Councillor for Infrastructure and Housing, Ethel Vázquez, gave this information after the collaboration agreement was signed between the Government of Galicia and the Town Hall of Santiago in order to boost this work, which must be finalised before the celebration of the next Jacobean Year in 2021. The Councillor for Infrastructures and Housing assumed the commitment to plan and carry out the work for the improvement and integration of the landscape at strategic points of the Caminos on their entry into Compostela. Thus, in the French Way,work will be done on the descent from the Monte do Gozo and San Lázaro; and in the streets of las Fontiñas, Fonte de Concheiros and Concheiros, especially regarding reorganising te crossroads with the Avenida de Lugo; in the Portuguese Way, on arrival at the Convento de Conxo and the roundabout over the SC-20; and in the English Way, in the transit through the Tambre Industrial Estate and opposite the cemetery of Boisaca. In addition, a study will be made of the possibility tocarry out work on the Vía de la Plata, as a complement to the work planned by the Town Hall in Castrón Douro; or in the Portuguese Way as far as the Puente de A Rocha Vella.